"This validates the observation of the court that 17 is attracted. The temple is also polluted by death etc, but that is not relevant! However, when a menstruating woman enters the temple, it needs to be purified?" Earlier, Mr. Parasaran had argued that "untouchability" is a term of art, the only word which appears in double-inverted commas in the Constitution for the sole reason that it is not to be expanded- "This is a word of Norman jurists. Untouchability was practiced on the secular side too. 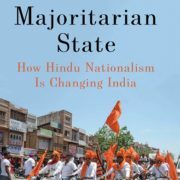 While several castes are covered under reservation, as per the expanded meaning, untouchability is confined to the Hindu temples under Article 25(2)(b). "In case of untouchability, the treatment accorded to you is less than human…", he had remarked. When Justice Rohinton Nariman had asked what happens to the feeling of the woman where a Scheduled Caste woman of menstruating age is involved, Mr. Parasaran had replied that while untouchability is only aimed at the Scheduled Caste, here, the practice applies to the commoner, in general. Under section 12 of the Protection of Civil Rights Act, the presumption will be of untouchability, Justice Nariman had probed. That Act deals with the caste system and nothing else, insisted the veteran lawyer. 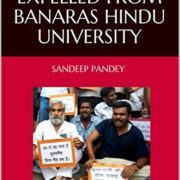 "the word 'untouchability' dd not exist till the 19th century. It was Introduced in the Oxford dictionary only in the late 19th century. It Has its origin in the caste system in India; it does not exist in the UK. It is found in quotes as there was no definition of the term until the late 19th century. It should be understood as how it is generally understood- as pollution, based on caste or otherwise…the ban on women totally falls under untouchability"
She also drew the bench's attention to the fact that a separate issue on whether the impugned practice amounts to untouchability under Article 17 had been expressly framed in the order for reference to the Constitution bench. 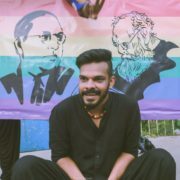 Further, Mr. Parasaran had suggested that Article 15 threw open to one and all public institutions of a secular character but not those of the religious category- "Three amendments were proposed during the debates in the constituent assembly to include places of worship of a public nature. All were voted against"
"The core of the judgment is based on discrimination in 15(1). But Mr. Parasaran forgets the latter part of 15(2)- it speaks of places 'dedicated to the use of general public'. If sabarimala is not a family temple but a public temple, how can he say 15(2) has no application? ", contended Ms. Jaising in response. "The Second answer is in article 25 itself. See the title- Freedom of Conscience. It is my conscience which is equally protected like anybody else's. If my conscience tells me to enter, i will. Who would stop me in law? Physically, of course, i have been stopped… All we say is allow us the right to enter. nothing beyond that! nothing about the rituals the thanthri performs! ", she pleaded. 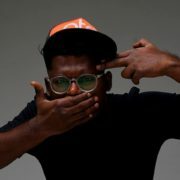 "Mr. Parasaran talked of the preamble; it speaks of liberty of worship…religion is nowhere defined in the constitution. My religion is my own…Read the preamble with the title of 25- I will 'worship' as per my conscience. My conscience says all Gods accept all humans, that Lord ayyappa would not discriminate against me on the basis of gender. I decide it is my religion!…25 says 'all persons', not all men. Is a woman also a person? That is why this court has held all persons as equal. If i am a person in the eyes of law, i have the right to worship!…that Religion is an island not subject to the Constitution is what was argued in public domain?! But Articles 15, 17, 25 and 26 have been harmoniously construed by this court…"
In so far as the jurisdiction of the court in deciding whether a religious practice is a superstition or not was questioned, Ms. Jaising indicated the Fundamental Duty in Article 51A(h)- "to develop the scientific temper, humanism and the spirit of inquiry and reform"
"In entering the temple, that is what I am doing! ", she asserted. To this submission, Justice Nariman also added the Duty enumerated in clause (e)- to renounce practices derogatory to the dignity of women. 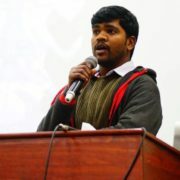 "Exclusion of women is derogatory! The purification ritual hurt deeply! It is a constitutional hurt, not an ordinary one! It goes to the heart of the Constitution! ", she urged passionately. "What was at stake in the original hearing was the issue of gender justice. Can gender justice can be sacrificed at the altar of denomination? ", pressed Ms. Jaising in the light of the dissent authored by Justice Indu Malhotra. She also pointed out that in holding Sabarimala devotees to be a separate denomination, Justice Malhotra had relied on the dissenting judgment of Justice O. Chinappa Reddy in the 1982 S. P. Mittal case. 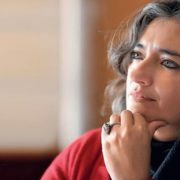 In as much as the review petitioners had expressed doubts as to the concept of constitutional morality, she argued that there is no dispute as to its meaning- "Constitutional morality is the sum and substance of Fundamental Rights and the Directive Principles of State Policy. Nothing over that! It is not vague…some of the Fundamental Rights have been held to be part of the basic structure of the Constitution. That is constitutional morality!" By way of answer to the repeated contention on the opposite side that the petitioners in the original proceedings are not Ayyappa devotees, she placed reliance on Adi Saiva Sivacharyargal Nala Sangam v. Govt. of Tamil Nadu (2015), where the apex court held that the freedom of religion under Articles 25 and 26 is not only confined to beliefs but extends to religious practices. "Your Lordships had observed that where an issue of grave importance is raised, the court would not look into the locus of the petitioner…", she submitted. "A case for review is not made out…it is in the nature of appeal", she concluded. At the threshold, Ms. Jaising had set out that she was appearing for a dalit woman who had entered the temple on January 2 along with a hindu woman- "There were cries of 'Kill them, kill them'…the woman was beaten by her own family…the mother of one of the women has received death threats…it is not just about exclusion, but social boycott! They are being prevented from accessing essential commodities…shopkeepers have been asked not to sell to them…"
"We cannot enter the temple amidst such mob riots. 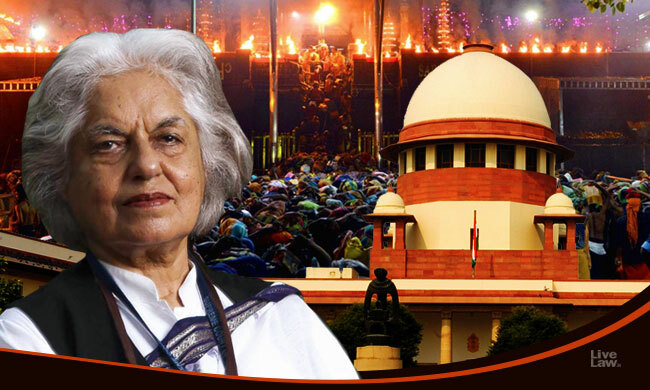 Women don't go to war…Violence is not in the character of women"
Finally, Ms. Jaising prayed for a mandamus against such social ostracisation, death threats and attempts to prevent entry- "Your Lordships have categorically declined to stay the impugned judgment. The Temple is next due to open on February 12. There are two other women who are Hindus and who are desirous of visiting the Temple and have applied online. But they are being restrained by mobs…"